The action was taken after Bharatiya Janata Party (BJP) filed a complaint with the Election Commission against her. 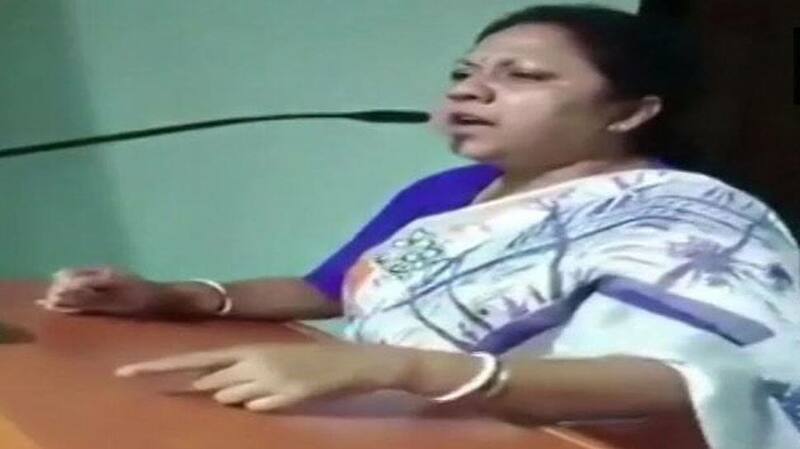 West Bengal: The CEO’s office has sought a report from District Magistrate of Nadia after BJP filed complaint with the Election Commission against TMC MLA and state minister, Ratna Ghosh Kar’s comment on Central Forces. Ghosh, a TMC MLA from Chakdaha, addressing a party workers meeting, had said, “If you want to win a war, there’s nothing fair or unfair, democratic or undemonstrative way of winning it. You have to win it by any means. I have seen it in 2016 elections, how central force beat up our boys, there was a bloodbath. This time, it is even more challenging, but there is nothing to be scared,” ANI quoted her as saying. Accusing the TMC of not letting central forces work during the Lok Sabha polls, BJP’s West Bengal in-charge Kailash Vijayvargiya had earlier said the party has urged the Election Commission to deploy central paramilitary forces and install CCTVs in all polling booths to ensure “free and fair” polling in the remaining phases of the Lok Sabha elections in West Bengal. Three Lok Sabha constituencies in West Bengal – Darjeeling, Raigunj, and Jalpaiguri – will vote on April 18. Two seats – Alipurduar and Cooch Behar – went to polls on April 11. Polling for rest of the seats will be held in the remaining five phases of elections. Counting of votes will take place on May 23.